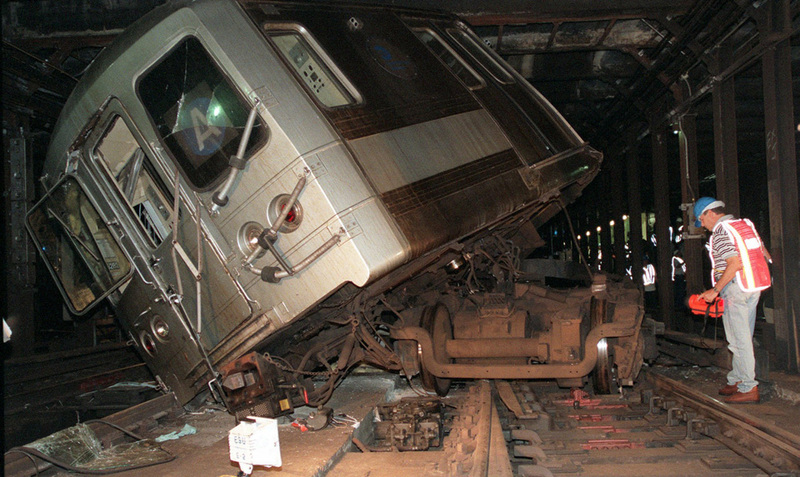 The economic toll the public pays due to transit delays, derailments like this one, and/or poor service is almost too great, many say, to measure. What do greedy real estate titans like Donald Trump have to do with turning what would be a 10- minute car ride into an hour-long ordeal for a public transit rider? A heck of a lot, if you hear the cry coming from a rising protest movement all over New York State. While the governor and representatives outside the city control MTA operations, they also receive millions in real-estate campaign contributions. Gov. Cuomo and Jeff Klein, leader of the Independent Democratic Caucus (IDC), which votes with Republicans in the state Senate, are the biggest beneficiaries of campaign donations coming from real-estate developers. In exchange for lining the pockets of the legislators the developers get billions in 421-a money, essentially a tax break for building luxury condos in working class neighborhoods. Cuomo has even refused to return any of the $64,000 donated to him by Donald Trump, who owns over $2 billion in New York real-estate. Real-estate-backed GOP and IDC New York State senators Terrence Murphy, David Carlucci, and Sue Serino, elected to represent Westchester, Rockland, and Dutchess counties, led the charge on June 7th to axe the Metropolitan Commuter Transportation Mobility Tax (MCTMT). This year, the MCTMT would add $1.4 billion dollars to the MTA budget with a 0.11% – 0.34% tax on employers that benefit from the infrastructure and that put more than $312.5K towards their workforce. Vaughn Armor of NYCC told the cameras, “We need to modernize our subway system, and take the money [from] these billionaires and millionaires and Wall Street getting a break and put it in our subway system now!” “It’s a shame that New Yorkers have to play Russian roulette when they get on the train or bus” and “don’t know if you’re gonna get there or not,” said Armor. “What’s next? Maybe a tunnel might fall in or something!” The rally had been held the day after an A-train in Harlem derailed and careened into a wall.